Have a fleet of cars? A very large extended family? This might be the house for you. 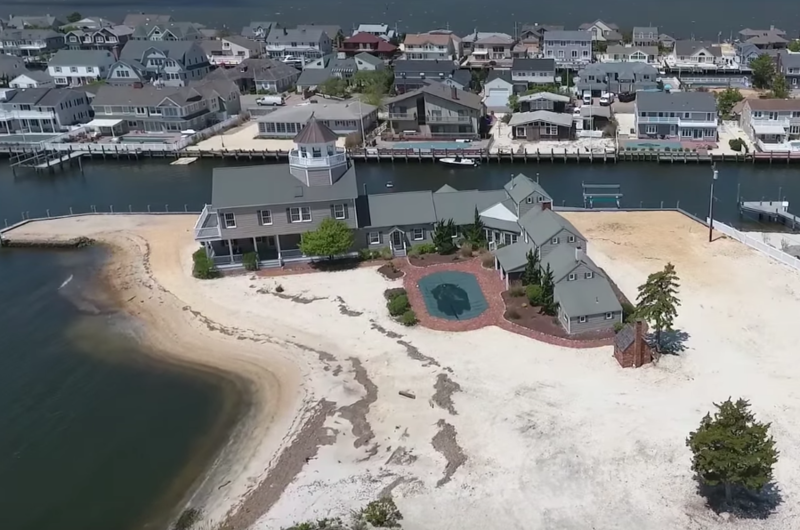 Described as a “secluded waterfront compound,” the bayfront property at 125 Route 35 in Brick’s South Mantoloking section will be auctioned off June 30, with property previews set for this weekend and next. 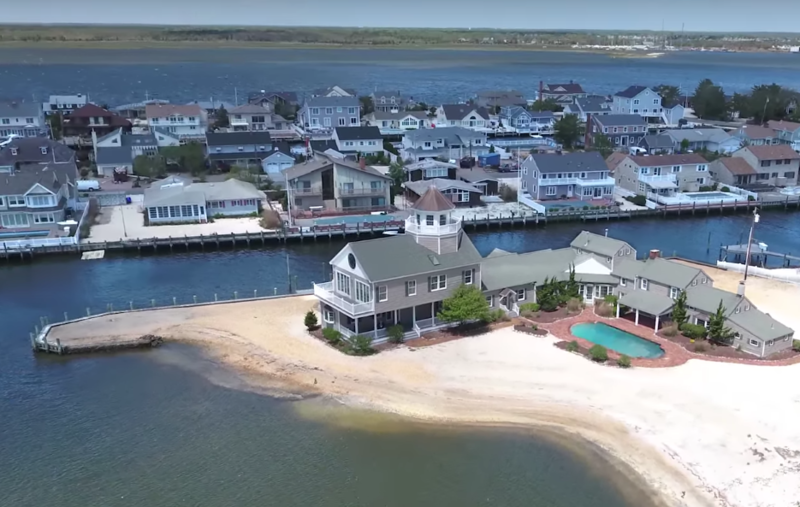 The 1.6 acre bayfront property offers more than 644 feet of water frontage with a bulkhead as well as a private beach area. There is plenty of room for boats, jet skis and private bayside swimming. If that isn’t enough, there’s also an in-ground swimming pool surrounded by brick pavers, and the pathway to the ocean beaches is located just a few steps away. 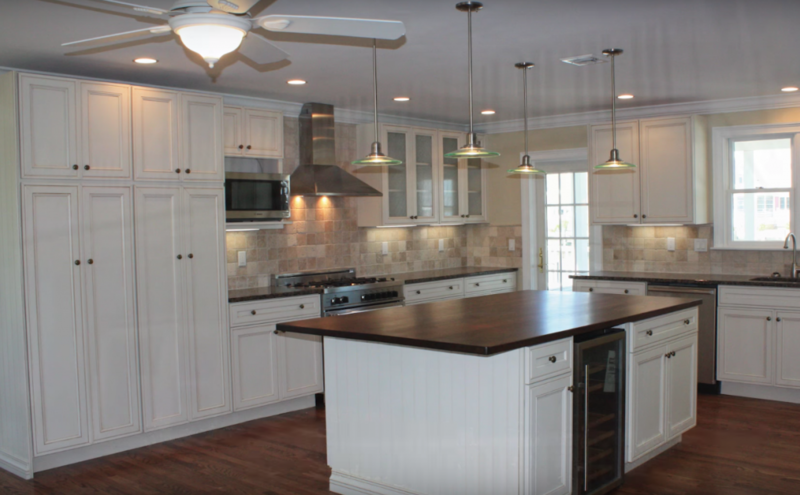 There’s even a “lookout room” resembling a lighthouse, where owners can view expansive views of the ocean and Barnegat Bay. The property, Dann said, is completely shielded from Route 35 by a 15-car garage that offers even more space for cars and boats. The property boasts seven bedrooms, including a two-story master bedroom suite, a great room with two fireplaces connected to a dining room and a spacious gourmet kitchen with high-end appliances. The company didn’t offer any specifics on the expected price range of the property, but according to tax records, the property is currently bank-owned and assessed at $2,219,000 – $1,256,200 for land and $962,800 for improvements – and last year carried a tax bill of $47,064. Those interested in the property can obtain more information by calling Max Spann at 888-299-1438 to receive the property information package, attend the auction and bid.